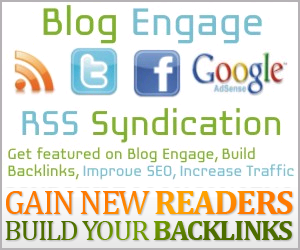 Blog Engage prides itself on helping bloggers increase traffic and reduce the work flow. It’s hard enough to produce quality content let alone worrying about marketing your posts. Marketing is hard, confusing and time consuming. The hardest part when it comes to online marketing is finding the websites that best to fit your content and deciding where to spend your time sharing and promoting. We bring both these elements together in an easy monthly subscription… When you blog, we do the marketing. We use 3rd party sites such as Viral Content Bee, Just Retweet, Retweet Bird, Guest Crew, Creator Collabs, Hootsuite, Blokube and Blog Engage, BizSugar, Inbound and ManageWP to get your content in front of readers to increase your social shares. This means you no longer have to feel the stress about marketing your own content, simply hit publish and let Blog Engage do the work for you. We will ensure your content receives maximum exposure within the networks we use and we will increase your traffic and blog engagement. Sign up to the Direct to Front Page Service and give it a try, I bet you will be very impressed. We have many happy clients producing content daily and we do all the marketing. Take your blog and content to the next level give us a try today.